Do you want to know how your business compares to your competition? Do you know if your budgets and sales projections are similar to businesses like yours? LivePlan&apos;s Benchmarks feature answers these questions. 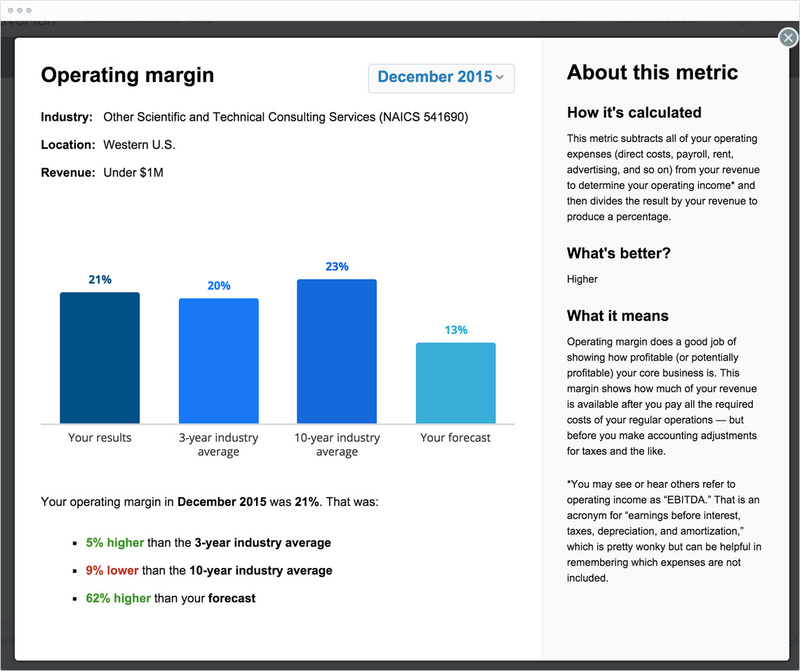 You can see at-a-glance how you compare to companies just like yours. Tell us your industry and location, and we&apos;ll tell you if you&apos;re doing better or worse than your competition and how you can improve. These kinds of insights are critical to growing your business. Use the benchmark data to make sure your budgets and forecasts are realistic. LivePlan will tell you exactly how you stack up—not only to companies in your industry, but even companies in the same part of the country as your business. If you connect LivePlan to your account software (Quickbooks Online or Xero), LivePlan can tell you how you are doing compared to the competition. You&apos;ll see how your performance compares to companies that are a similar size to you, and what you can do to improve.